Nearly half a century since they were first popularized in the United States, dashikis are making a comeback as a fashion statement of identity and expression among black Americans. 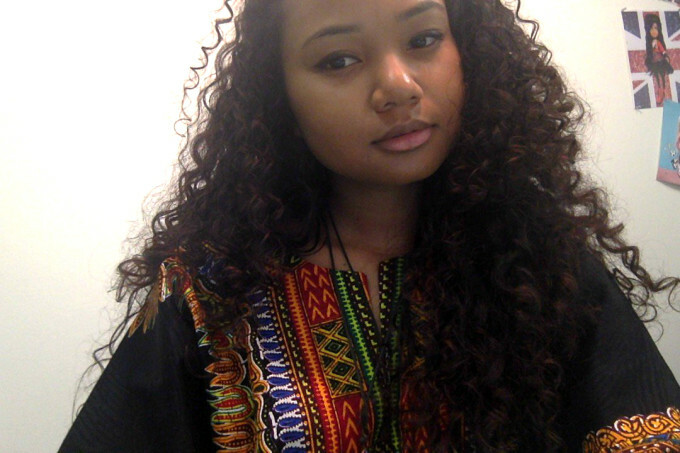 Walton, an African-American studies and political science double major at University of California, Irvine, says she bought her dashiki from a family-owned business in Los Angeles that imports its inventory from Africa and, as a biracial black woman, wearing it makes her feel connected to her roots. “I might not be West African, but having a little bit of African culture for my own while I seek out my roots makes me feel stronger,” she says. As Walton noted, the Dashiki-style shirt is much older than its history in America. The brightly colored, sleeveless tunics originate in West Africa. In fact, the word “dan-ciki” translates to “shirt” in Hausa, a language spoken in Niger, Nigeria, Ghana, Benin, Cameroon, Ivory Coast, and Togo. The dashiki emerged onto the U.S. fashion scene in the late 60s and early 70s alongside a rise in black political consciousness as the Civil Rights Era gave way to the Black Power Movement and its Afrocentric aesthetic. 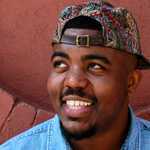 A black businessman named Jason Benning is credited with coining the term “dashiki” and developing the now classic dashiki prototype for mass production in 1967. Along with and three other men -- Milton Clarke, Howard Davis, and William Smith -- Benning produced and began selling his dashikis under the New Breed Clothing, Ltd label out of a Harlem storefront. 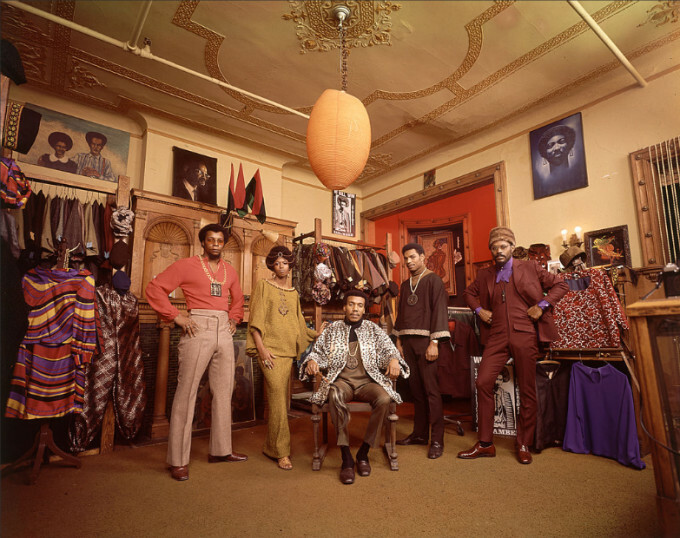 In keeping with the Black Power Movement’s efforts at black uplift and cooperative economics, New Breed Clothing was led by Benning and a team of black designers. The business was even financed initially using a $20,000 loan from the Black Economic Union, an organization which used investments from black professional athletes to fund the creation of black-run businesses. Jason Benning (center) and models for New Breed Clothing. By 1970, “dashiki” had been entered into Webster’s Dictionary and the item, along with the afro hairstyle, soon became a go-to symbol for black Americans. Jesse Jackson and Marion Barry began sporting dashikis, as did Sammy Davis, Jr. and Stevie Wonder, Kareem Abdul-Jabbar, Muhammad Ali, Eldridge Cleaver, and countless other black public figures. As early as 1969, however, there was concern that the dashiki was becoming a hollow symbol, more of a fashion trend than a fashion statement. Poet Haki R. Madhubuti articulated his unease with the dashiki’s trendiness in a poem Ebony magazine featured in a profile of the young poet. Before long, what was considered an expression of black pride became a source of embarrassment for many black Americans. Dashikis, no longer considered avant-garde, became costume and black Americans began putting the items away in favor of business suits as the Black Power Movement of the 60s and 70s waned into the 80s. 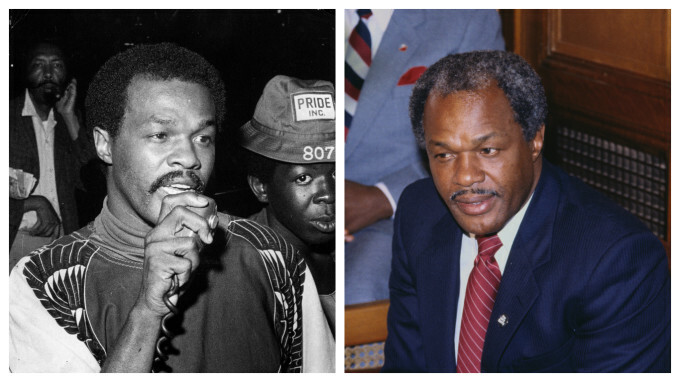 Dashiki-clad community activist Marion Barry in 1978 (left) and Barry as D.C. Mayor in 1982 (right). “The triumphant era from the African dashiki shirt to the &apos;Superfly’ look — a period of heightened black fashion consciousness — did not phase out without adding new meaning to the world of men&apos;s fashion,” noted a 1985 Ebony Man article on the state of black fashion. “Bizarre, outrageous and overdone’ are words that once described the &apos;Superfly&apos; image of black male fashion. These words are now replaced with ‘conservative, chic, and elegant,’ as personified by the smooth sophistication of the present black professional." After subsequent decades in the margins of popular fashion, dashikis are back. Indeed, a Google Trend analysis confirms that interest in the item has been consistently on the rise since November of 2012. And as was the case decades before, the current dashiki moment is happening alongside an increase in black political consciousness. There&apos;s no discounting the celebrity factor in the dashikis reemergence, though. In 2014, Rihanna caused a stir when she posted a photo to Instagram of her in a dashiki by Dimepiece LA Vintage. Earlier that year, Beyonce was photographed in an "African Leaders" dashiki by Ron Bass -- publicity so good it led to Bass&apos; line of dashiki-inspired items for Forever 21. Finally, last prom season, New Jersey teen Kyemah McEntyre further boosted the dashiki&apos;s popularity when her dashiki-inspired prom dress went viral via Instagram, garnering McEntyre write-ups in Essence, Teen Vogue and The New York Times. Ronnie Duncan is another fan of the dashiki. The 18-year-old Claflin University student believes young black Americans are beginning to wear dashikis again in the 21st century as a sign of black pride and appreciation for African culture. "Dashiki Day" with Ronnie Duncan (bottom) and classmates at Claflin University. 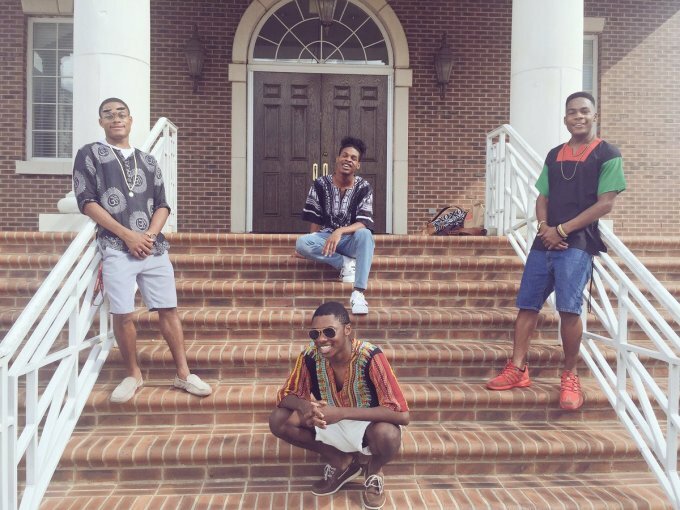 Recently, Duncan and three friends at Claflin broadcast those feelings about the dashiki into the Twittersphere. In photos posted to Twitter, the group posed in assorted dashikis and jokingly declared August 29 “Dashiki Day." Dashiki Pride is an online boutique founded in 2014 by three sisters from Nigeria with the goal of making increasingly-popular West African fashions more accessible in the United States. The boutique sells various items with distinctly African patterns, but its founders say the classic dashiki shirt is by far their biggest seller. Like New Breed Clothing before them, Dashiki Pride&apos;s Mirian Chinyere, MarySonia Chizoba, and Lilian Chioma Ugokwe are leveraging renewed consciousness and black celebrity power to sell their dashiki designs, and to great success -- the three say that their business sells between one and two thousand dashikis a month. In addition, the Instagram account for Dashiki Pride has more than 215,000 followers and celebrities including Blac Chyna, Remy Ma and Monica Brown have all worn dashikis sold by the boutique.